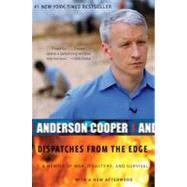 Striking, heartfelt, and utterly engrossing, Cooper's memoir is an unforgettable story that takes readers behind the scenes of recent cataclysmic events as seen through the eyes of one of America's most trusted, fearless, and pioneering reporters. Small waves, one after the other, lap the shore. Two Sri Lankan villagers walk along the water's edge, searching for bodies washed up by the tide. They come every morning, leave without answers. Some days they find nothing. Today there's a torn shoe and a piece of broken fence. I'm standing in a pile of rubble. Beneath me the ground seems to move, twisting and turning in on itself. It takes a moment for my eyes to adjust. The ground isn't moving at all. It's maggots, thousands of them. Writhing, squirming, they feast on some unseen flesh. Nearby, a dog with low-hanging teats and a face smeared with blood scavenges for scraps. She steps carefully among scattered bricks, tourist snapshots, china plates, the flotsam and jetsam of life before the wave. It took centuries for the pressure to build. Subtle shifts, grinding force. Long ago, a thousand miles east of Sri Lanka, more than fifteen miles below the surface of the Indian Ocean, two gigantic shelves of rock, tectonic plates, pressed against each other -- the rim of what scientists call the India Plate began to push underneath the Burma Plate. Something had to give. At nearly one minute before 8:00 A.M., the morning after Christmas, 2004, the force of the compression explodes along a section of rock some one hundred miles off the west coast of Sumatra. A fault line more than seven hundred miles long violently rips open and a shelf of rock and sediment thrusts upward fifty feet, unleashing an explosion of energy so powerful it alters the rotation of the earth. It is one of the strongest earthquakes in recorded history. Shock waves pulse in all directions, displacing millions of tons of water, creating giant undersea waves. A tsunami. A ship on the surface of the sea would barely have noticed, detecting perhaps some slight swells no more than two feet high. But underneath, out of sight, churning walls of water extend from the ocean's bottom to the surface, pushing outward. The water moves fast, five hundred miles per hour -- the speed of a commercial jetliner. It takes eight minutes after the earthquake begins for the sonic signals to reach the Pacific Tsunami Warning Center, in Hawaii. The thin needle of a seismograph suddenly springs to life, rapidly scribbling side to side, signaling an alarm. It's already too late. Eight minutes later, at approximately 8:15 A.M., in Banda Aceh, Sumatra, the first of several massive walls of water explodes onto shore. In the next two hours, tsunami waves strike ten other countries. More than two hundred thousand people will die. In New York, 2005 begins in a blizzard. A hurricane of confetti and light. At the stroke of midnight, I'm standing on a platform in the center of Times Square. I'm about sixty feet off the ground, and below, on the streets all around me, are people -- hundreds of thousands of revelers packed shoulder to shoulder behind barricades set up by police. The crowd is cheering. I see their mouths are open, their hands waving in the air, but I can't hear them. Both my ears are plugged with wireless headphones connecting me to a control room several blocks away. I hear only the hiss of the satellite transmission and a thin pulse of blood throbbing in my ears. It's a strange way to start 2005. We've been covering the tsunami around the clock this week, and each day brings new details, new horrors. There's been talk of canceling the celebrations, but in the end it's decided that the show will go on. I've always hated New Year's Eve. When I was ten, I lay on the floor of my room with my brother, watching on TV as the crowd in Times Square counted down the remaining seconds of 1977. My father was in the intensive care unit at New York Hospital. He'd had a series of heart attacks, and in a few days would undergo bypass surgery. My brother and I were terrified, but too scared to speak with each other about it. We watched, silent, numb, as the giant crystal ball made its slow descent. It all seemed so frightening: the screaming crowds, the frigid air, not knowing if our father would live through the new year. I grew up in New York but never went to see the ball drop until I volunteered to cover it for CNN. For most New Yorkers, the idea of going anywhere near Times Square on New Year's Eve is inconceivable. It's like eating at Tavern On The Green; the food may be tasty, but it's best left to out-of-towners. I've always thought that New Year's Eve is proof that human beings are essentially optimistic creatures. Despite hundreds of years of pathetic parties and hellish hangovers, we continue to cling to the notion that it's possible to have fun on that night. It's not. There's too much pressure, too many expectations, too few bathrooms. The truth is, I began volunteering to work on New Year's Eve as a way to avoid having to do something social. This is my second time covering the Times Square festivities, and I've actually begun to enjoy it. There aren't many opportunities in this city to feel part of a community. We scuttle about the streets each day, individual atoms occasionally running into one another but rarely coalescing to form a whole. In Times Square, however, as the ball descends and the crowd cheers, New York becomes a very different place, a place of pure feeling. When midnight arrives, the air explodes into a solid mass, a swirl of colored confetti that seems to hang suspended in space. For several minutes I am not expected to say anything. The pictures take over. The cameras pan the streets, wide shots and close-ups; people sing and shout. I take the headphones out of my ears and am surrounded by the waves of sound. The air seems to shake, and for . . .
A Memoir of War, Disasters, and Survival. Copyright © by Anderson Cooper. Reprinted by permission of HarperCollins Publishers, Inc. All rights reserved. Available now wherever books are sold.